San José is divided into 11 districts which are made up of several neighborhoods where home prices will vary. 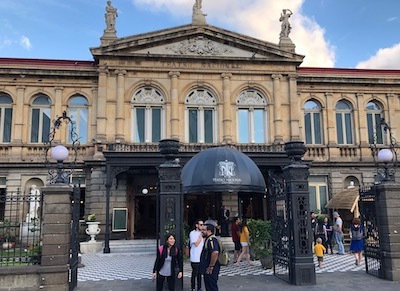 American expatriates are scattered throughout Costa Rica, most of them live in the suburbs surrounding San Jose such as Escazu an upscale area of the city, or Santa Ana which is a trendy community near the medical centers, luxury hotels, and Costa Rica's largest mall. Cuidad Colon, another popular suburb offers beautiful countryside. Townhouses, condos, and single family homes are all offered, with prices starting in the low $100's. San Jose has many museums, a historic district, several universities, a public bus system which makes getting around the city easy, and universal health care. The cost of living is not high, and temperatures stay in the 70's year-round. Rain forests, rivers, wildlife refugees and beautiful beaches are a few hours away and offer a variety of activities including kayaking, sport fishing, surfing, and all types of outdoor adventures. San Jose is not considered a very pretty town and deals with a lot of traffic with no emission controls; the crime rate is higher than the national average. The average temperature in San Jose is about 71 degrees. Because of its elevation (3,839 feet), San Jose has a pleasant temperature year-round. San Jose is the country's only major urban center and has many choices of restaurants. The popular Costa Rican cuisine includes gallo pinto, the national dish which is a mixture of fried rice and black beans. Culturally, the town has plenty to offer with a nightlife scene and beautiful theaters that host musical and artistic presentations. Museums like the Jade Museum display Costa Rican history and art going back to pre-Columbian times. 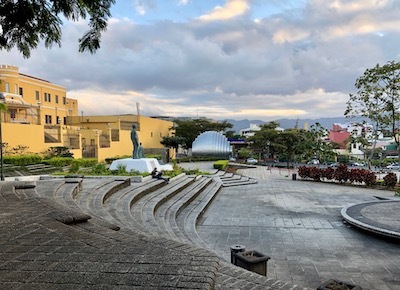 San Jose also has many parks, plazas, and casinos, along with historic neighborhoods that feature colonial mansions that are now art galleries and restaurants. The crime rate is above Costa Rica's national average, with most incidents involving theft. Costa Rica has a public health insurance system available to all residents, with medical care and small clinics located in most communities. The health care system and hospitals have been rated high on an international level. San Jose has four hospitals. San Jose has an airport, trains, and public bus transportation. Uber and Lyft drivers are available.